"U.S. Army Air Corps balloonist Capt. 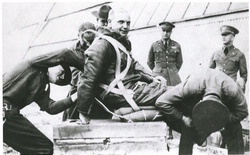 Hawthorne Gray launched from Scott Field, Illinois, on November 4, 1927, on his third attempt to explore conditions and test equipment that would enable air crews to survive and function at altitudes of over 40,000 feet. The balloon was found in a tree near Sparta, Tennessee, the next day, with Gray’s lifeless body still in the basket. He had apparently become confused, parachuting a full bottle of oxygen to earth in an effort to climb even higher. He died from lack of oxygen. “His courage,” suggested the citation of his posthumous Distinguished Flying Cross, “was greater than his supply of oxygen.” "
Photo by Eric Long, Smithsonian National Air and Space Museum (NASM 2011-00675). Find out more about Capt. 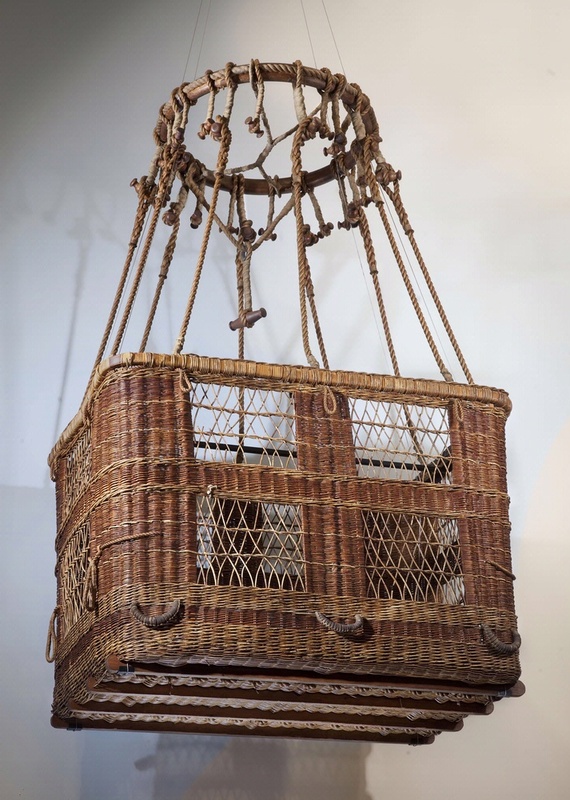 Hawthorne C. Gray’s Balloon Basket.